Q: Why I can't create/signup for an account on the main page? A: Don't have to. Your account will be created AUTOMATICALLY once you have made an order/preorder with us. Q: Is shipping FREE within Malaysia, including Sabah and Sarawak? Q: How many days for an item to reach me? A: 3-5 and 10-14 working days for West and East Malaysia respectively. Q: Do I have an option to choose a 1 day express shipping? A: Yes you do. The option is available in the checkout page. Make sure you check on this option before checking out. Q: How much do I need to pay for express shipping? Q: Do I get a tracking number for either the free shipping or the express shipping? A: Yes, you will be giving the tracking number for both methods of shipping. Q: What about other countries outside of Malaysia? A: Once you submitted on your order, send us an email at Sales@ToyPanic.com to notify us. We will send you the shipment cost on a separate email. You can then decide to make payment or cancel your order (if you are unsatisfied with the shipping cost). Q: Are all the items in your site in new condition? A: Yes. We do not offer used/second-hand items. Q: Is there quality check on item prior to shipment? A: Yes. We will open the box to check for missing contents. However, for mint pack, it will remain sealed. Q: When an item will be shipped? A: Once payment is confirmed, we will arrange for delivery the next working days, this excludes Saturday and Sunday. Otherwise, we will inform you if there is any delay. Q: How do you pack an item? A: Every step of precaution is considered when packing an item to ensure the item is in prefect condition when it arrives to you. Your item arrival's condition is our top most priority. Having said that, we have taken every precaution steps in ensuring the best protection on how, where and what to use in the packaging. 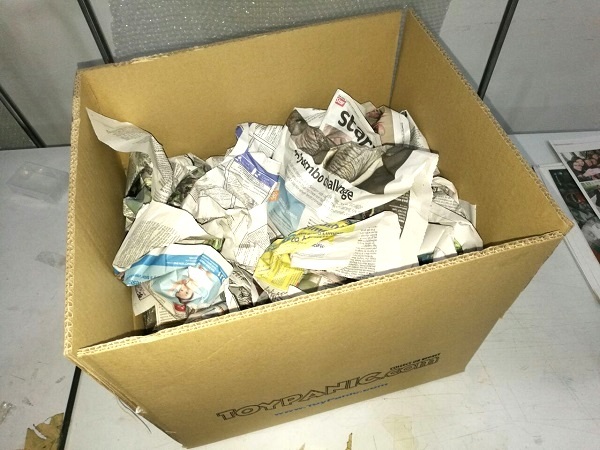 The photos above shows the steps taken by ToyPanic in ensuring the shipped item is well taken care of from all the 'throwing', 'rolling', 'dropping' and etc (we do not leave a single thing to chances). A: We accept Paypal, Credit Card and Maybank2u for local order (Malaysia) . As for international order, we accept Paypal and Credit Card. Q: Will I be charged once I'd submitted the order? A: No. We will send you a separate email on the payment details based of your payment method selected. Q: How many days to I have to make the payment from order submitted? A: You have 3 days to make the payment. If you require additional time, please send us an email at Sales@ToyPanic.com to let us know. Q: What happen if I fail to make the payment after this period? A: Your order will be cancelled and the item will be returned back to the system and available to all. Q: Can I request for cancellation for my preorder item(s)? A: NO. Any cancellation will result in the deposit or any payment paid be forfeited. Q: The deposit or payment made for my preorder item(s), can it be refunded or transferred to my other preorder item(s)? A: No. The deposit or payment paid are not refundable or exchangeable to other items. Q: How long before my preorder be cancelled if no deposit is paid? A: You have 3 days to pay the deposit or on the day of the pre-order deadline before the preorder is automatically cancelled by our system. Q: Can I request for cancellation for my in-stock item(s)? Q: How long before my in-stock order be cancelled if no payment is paid? A: You have 3 days to pay the balance payment before the order is automatically cancelled by our system. A: 7 days return policy. Q: Do I have to bear the return shipment charges? Q: On what conditions can I request for refund? i) When item is in stock, but we are not able to fulfill the quantity preordered by client. ii) If an item received is broken, has manufacturing defect or missing parts within 7 days after client has received the item. iii) Product cancellation by the maker. 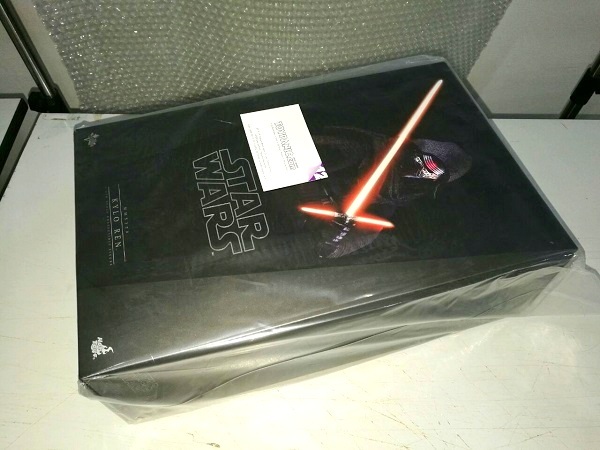 Q: If I would like to have new replacement for the defect item and the supplier/distributor is resided outside of Malayisa, do I need to bear the shipping cost? A: Yes, if the supplier/distributor is located outside of Malaysia. You would need to bear the return (both ways) shipping cost. 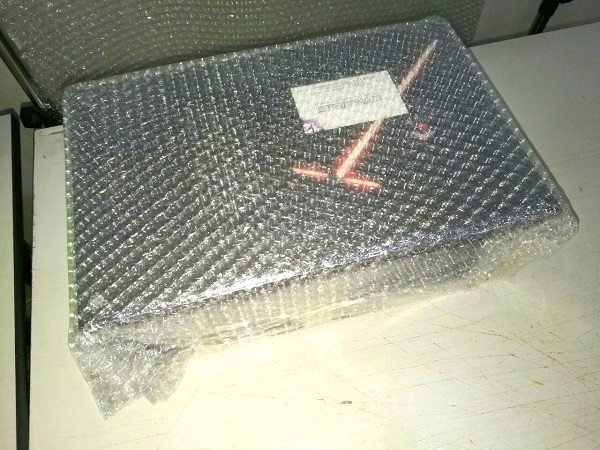 Q: If I would like to have new replacement for the defect item and the replacement is available within Malaysia, do I still need to bear the shipping cost? A: Yes, you would need to bear the return (both ways) shipping cost even though the shipping is within Malaysia. Q: How long would a replacement take? A: It depends on the replacement item availability from supplier/distributor. It could be as fast as few days to as late as few months. Q: What is the Panic Points? 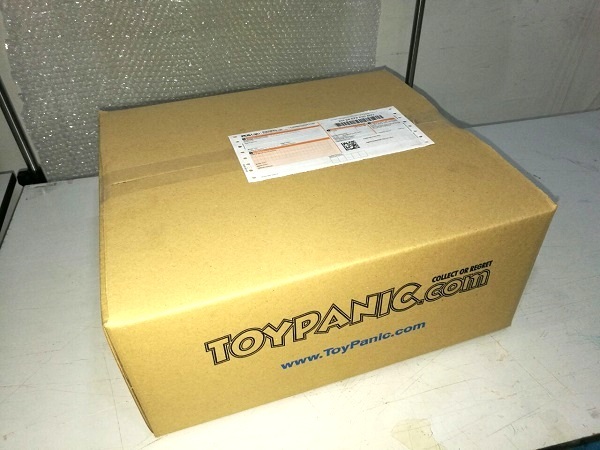 A: Every items that you ordered from ToyPanic.com, you will be rewarded with Panic Points. 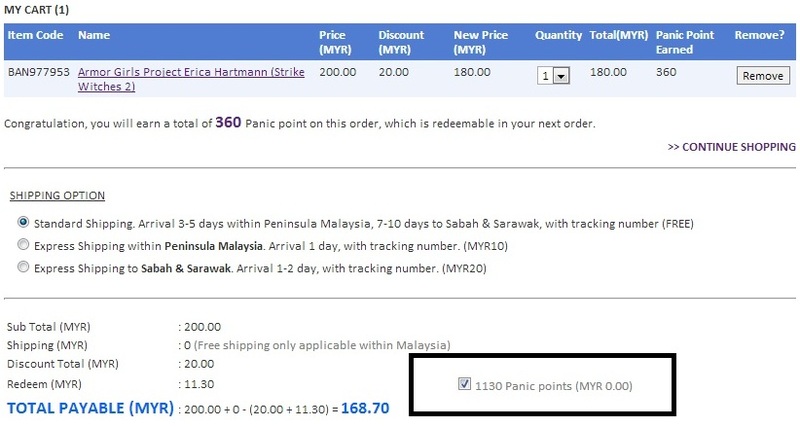 The quantity of Panic Points correspond to the total price of an order. A: It can be redeeemed and deducted from the total amount (MYR) of an order at the check out page. See photo below. Q: If an item has 100 Panic Point, and I want to order it, can I use the 100 Panic Point straight away on this order? Q: I have made a preorder and have paid the 20% deposit, but I do not see any Panic Point credited to my account? A: The Panic Point will only be credited to your account upon FULL payment. Q: Does it has expiry date? Q: How do I get the extra 1x Panic Point? A: Just make a full payment during the preorder period. Q: Is it only applicable for preorder? How about in-stock item? A: Eg: An preorder item is MYR100 with 100 Panic Point. So, the total Panic Points that you will get are 100 + 30% = 130 Panic Points. In short, you are getting an extra of 30 Panic Points compare to someone that do not have the Panic Mark. Q: How Is It Being Assigned? A: We shall spare you the gory details, but suffice to say, the engine computation is built upon a very complicated algorithm, which considers many factors. Eg: Order, payment, cancellation, time on page, frequency of visit, last order and etc. Q: How can I pay online using my local bank? 1) This is when you first place your preorder/order. 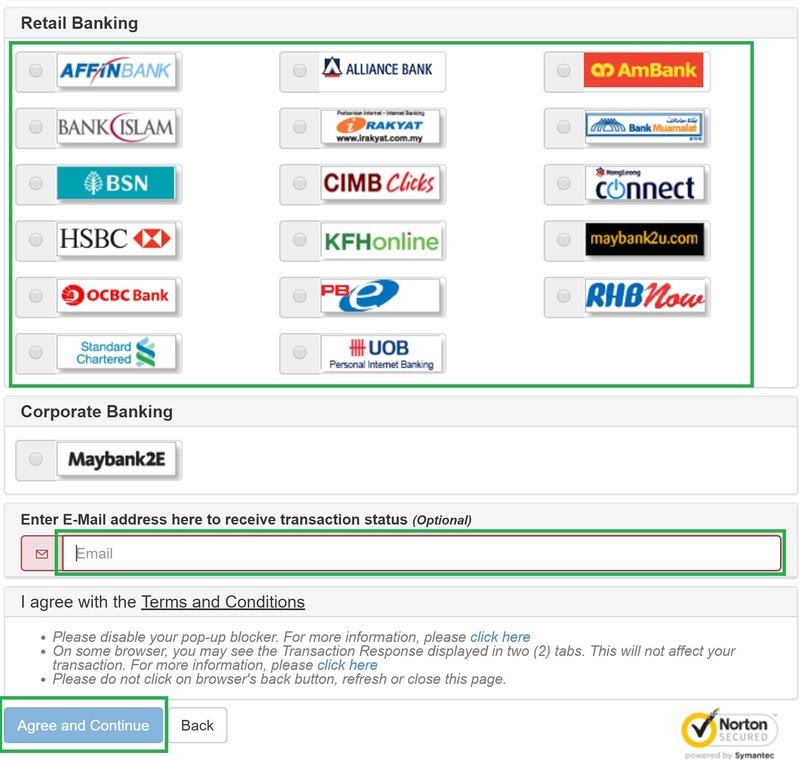 2) At the checkout page, select the first option "Online local bank payment (FPX)". See below. 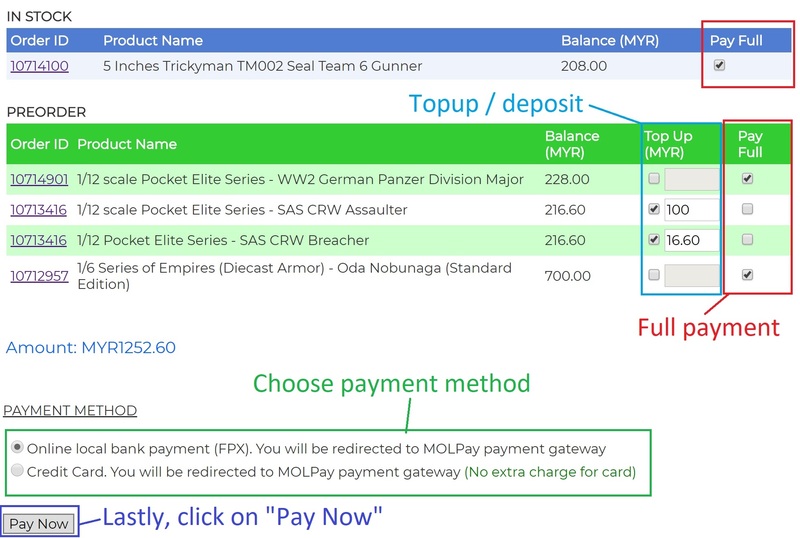 4) Use the default selection of FPX when you are at the MOLPay gateway page. Then click the button "Pay Online Through FPX". See below. 5) On the next page, choose your bank and fill in your email. Lastly, click on the "Agree and Continue" button. See below. 6) You will be redirect to your local bank website (from bank selection in step #5) and just proceed accordingly. 7) You can watch the Youtube tutorial below more details. 1) Select any of your invoices from the "Orders History" tab on the top page. 2) At the invoice page, click on the "Checkout Now". See below. 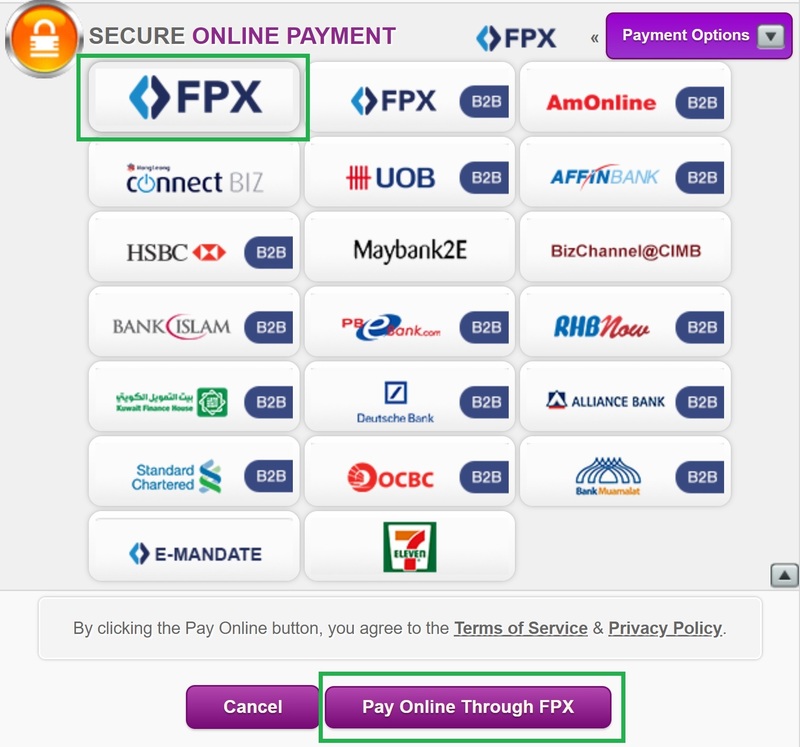 Click the button "Pay Online Through FPX". See below. Q: How can I pay multiple preorders/orders on the same page? 1) Click on the Open Payment on the top menu. 2) Then, tick the checkboxes of your orders/preorders that you want to make full payment. 3) At the same time, you can also opt for topup/deposit payment for your preorders. 4) Once you are done, choose either local bank payment (FPX) or credit card as payment method. 5) You can watch the Youtube tutorial below more details. Q: What is price match?? 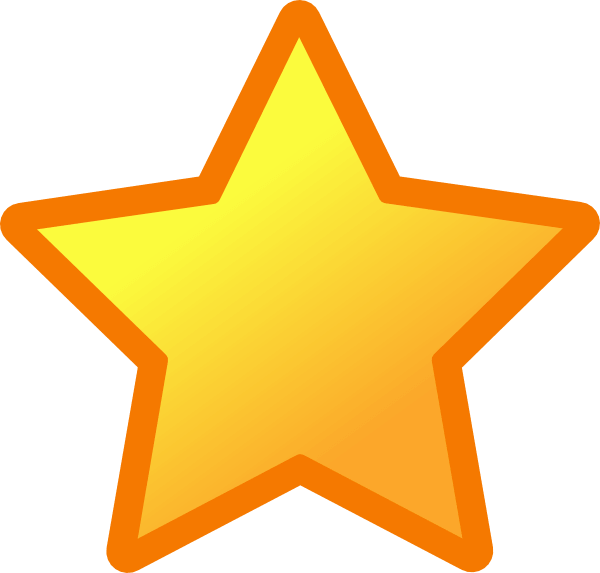 A: It means we are to honor our competitor's online advertised price. Q: How does Toypanic price match works? A: We will match the price set by our competitor if they meet the criterias below. 1. The competitor's price must be clearly stated and item must be identical. 3. Only online price is matched. Q: What are the conditions that Toypanic will NOT price match? A: We will NOT match the price set by our competitor if it falls into any of these criterias below. 1. If the competitor's lower price requires a coupon. 2. Prices that are advertised as limited time, limited supply or limited quantity. 3. Prices that are on sales or discount. 4. Prices that require a loyalty card will also not be matched. 5. Competitors' buy one, get one free sales or anything similar. 6. If the competitor's low price is the result of a typo. 7. Price from individual seller that are using secondary e-Commerce platform. Example eBay, Lazada, Mudah, 11street, Lelong and etc. 8. Other websites outside of Malaysia. 9. We do not match in-store price. 10. Different currency other than MYR. 11. Bulk or wholesale price. 1. Go to -> Advance Search. 2. Filter through the categories and cick on the SEARCH button. 3. If there is any search result, you can add it to your newsletter by clicking on the on the top page. Q: How do I schedule / setup the newsletter? A: Another quite simple steps really. 1. Go to -> My Newsletter on the top menu. 2. On the My Newsletter page, you can rename the newsletter name (this will be the subject of the email) and you can set the frequency to receive the newsletter. 3. Once you are done, just click .